Laptop Optical drive damage or broken issue repair within no time in Hyderabad and Secunderabad. 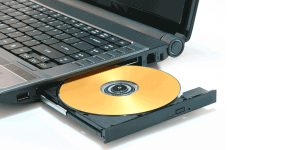 Laptop DVD Optical Drive Repair Replacement in Hyderabad and Secunderabad. Laptop that won’t play DVDs issue fix at best price. For Dell, HP, Lenovo, Apple, Acer,Asus,Sony and Toshiba Laptops. Computer windows not playing dvd problem. Laptop Optical drive damage or broken issue repair within no time. We provide you the best quality of service in the industry at low cost. Our team always at your door step to pickup and delivery of your laptop for free. Hurry let us diagnose and repair your laptop issues at best price in the market. Rated 4.8/ 5 out of 450+ Google Maps Reviews. Transparent services, every Laptop Part authenticated by customer & engineer while submitting & delivering Laptop.